Opinion piece published by Ireland’s Independent on March 1, 2018. Yes, it’s true: among the many needless cruelties and stupidities of Brexit is that it increases the risk of famine. Famine is a political crime: the people of Ireland need no reminder of this basic fact of history. Starvation isn’t an accident or an act of God. Don’t be misled by those who try to blame the weather or even worse, say that hunger is the fault of the hungry, for their fecklessness in simply having been born. Starvation is a crime that powerful men inflict on powerless people. My recent study of historic famines from 1870 to the current day found that about three quarters of the 100 million or so people who died in famines worldwide during this period, did so in famines in which politics was the sole or primary cause of mass starvation. Some dictators and colonisers forcibly starved people with the aim of eliminating them. More commonly, they created the conditions in which they starved while pursuing other goals such as military victory or forcing farmers off their land into collectives. What all have in common is that human life is valued less than something else. The xenophobia of some of Britain’s Leave campaigners breeds precisely the kind of callousness that in the past has allowed governments to justify policies that allow starvation. That hasn’t happened yet, but it looms. Britain has a deplorable record of tolerating famines or even creating them: Ireland in the 1840s, Germany in 1918-19, Bengal in the 1940s, Biafra in the 1960s. The British Foreign Secretary may have a good memory for Rudyard Kipling’s colonial poetry, he probably doesn’t recall his predecessor at the time of Biafra dismissing humanitarian concern with the observation that starving your enemy was standard practice in warfare. Yemen is the greatest famine of our era: an entire country reduced to destitution and hunger by a cruel blockade and a war inflicted by Saudi Arabia and the United Arab Emirates which is deliberately destroying hospitals, markets and farms. Britain hasn’t made it a priority to stop this famine crime. It values its political, security and commercial relations with Saudi Arabia and the UAE more than the lives of Yemenis. It’s callous and it’s also stupid. When the blockade is lifted, Yemenis will leave and join the exodus towards Europe. Across the Red Sea, Somalia is number one priority for Britain’s Africa policy. This country suffered famine seven years ago and came perilously close last year. The prospects for Somalia’s political stability and economic recovery depend on the continued presence of the 22,000 troops of the African Union Mission in Somalia. These African troops are paid through the European Union’s African Peace Facility, an elaborate funding mechanism that works because of Britain’s clout in Brussels and contribution to the budget. Instead of British diplomats mediating between Somalia’s warring parties, we now see Somalis pleading with the British and Europeans to make up their differences. They fear that a cutback on the African peacekeepers will bring disorder, fighting and famine. But Yemen and Somalia are far down the long catalogue of Brexidiocies which Prime Minister Theresa May and her cabinet seem incapable of addressing. It’s another sad case in which London needs to make extra efforts to achieve something that we all took for granted just a few years ago. The last thirty years have seen something extraordinary, unprecedented in human experience. We have nearly consigned famines to the history books. From 1870 to 1980, about ten million people perished every decade in great outbreaks of famine. Since then, the number has fallen precipitously. Much of the credit goes to humane globalisation: the spread of green revolution technologies and better public health, free markets and free media. Democratic governments don’t, as a rule, permit famines. Much of the credit also goes to the humanitarian agencies, which have far greater reach than before, feeding and treating the victims of wars who in earlier years would have suffered without solace. Humanitarian technologies have vastly improved too: refugee camps today are far more sanitary, healthy and with better nutrition provided than in the past. That’s a success for international cooperation and progressive humane values. But it’s a triumph that the humanitarians rarely trumpet – they tend to be focused on today’s disaster, not yesterday’s averted calamities. We are in imminent danger of casually jettisoning that momentous achievement. 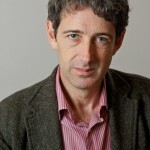 Professor Alex de Waal is the author of ‘Mass Starvation: The History and Future of Famine’. He was in Ireland this week as guest of Trócaire and Concern Worldwide.